These days, it seems like everyone needs an antivirus no matter what kind of machine you’re using or what kind of things you’re doing on your computer(or tablet, cell phone, etc.). A common myth about viruses is that you can only get them by downloading suspicious files. This couldn’t be further from the truth. The truth is, you can get a virus simply by checking your email. There are many ways to get a virus and with hundreds of different antivirus programs being released constantly, it can be difficult to choose which one suits you best. A lot of people prefer to go with a free antivirus but this may cost you more in the long run. Good free antivirus programs won’t isolate viruses and remove them completely from your device. They may quarantine them but it will still be on your device. With a paid software you don’t have to worry about any of that and you get protection both online and offline. If you’ve already been infected by a virus, a paid version is the best route to go. Many paid versions offer virus removal for existing viruses. From there they will clean up the virus and prevent them from coming back in the future. Things to look for when shopping for an antivirus is online protection, offline protection, email protection and gaming protection. Those are all sensitive areas and should always be monitored. If you have children, parental controls would be a good feature to check for as well. But most importantly, make sure that the antivirus you have your eye on is compatible with your device(s). Newbie Tip: If you’re a novice to antivirus programs and feel like you may need help setting it up or understanding it, do a quick search on Google for customer service reviews on that antivirus program. 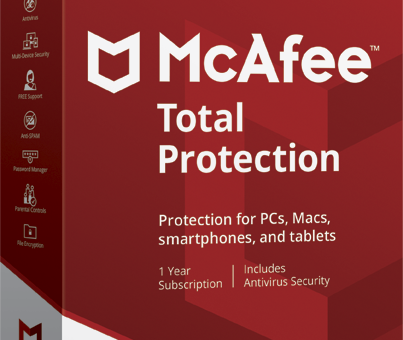 I personally use McAfee to protect all of my devices and my family’s devices. I started using McAfee as a computer technician because the company that I worked for had a partnership with McAfee. Since I was only allowed to ever use McAfee at work, I decided to buy myself some copies for personal use. I have it on my computers and phones. Installation was very quick and simple and the program is non-intrusive. It has kept my devices virus free for years. My favourite feature is the anti-theft feature in the mobile version. If someone tries to unlock my phone and the password is wrong, McAfee will activate my camera, take a picture of the person and email it to me right away. I highly recommend using McAfee. Right now they have a deal going on for 50% off of their Total Protection package. Take advantage of it while you can! I would have to disagree fairly strongly about using McAfee or Norton for that matter. The both of those A/V’s have been known to be very bulky and to really harm the performance of your computer. I personally prefer Trend Micro if I am going to purchase an A/V software.